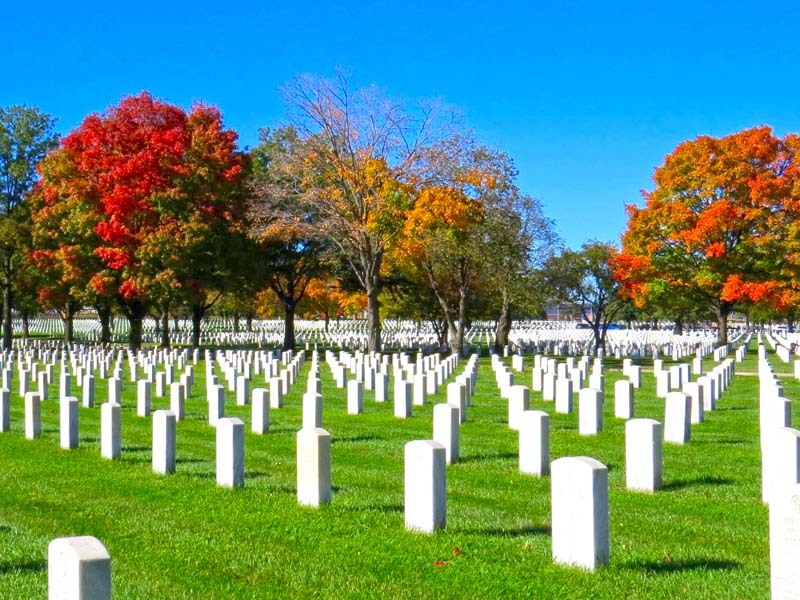 Fort Snelling National Cemetery is administered by the US Department of Veterans Affairs. The original Fort Snelling was established in 1805 near the confluence of the Minnesota and Mississippi rivers. However, it was not until 1820 that a permanent post named Fort St. Anthony was constructed under the supervision of Col. Josiah Snelling. Gen. Winfield Scott was so impressed with the conditions at Fort St. Anthony during his first inspection in 1824 that he recommended the installation be renamed Fort Snelling. Fort Snelling Cemetery was established in 1870 to serve as a burial ground for the soldiers who died while stationed at the post. Following World War I, as new legislation expanded the eligibility requirements for burial in a national cemetery, the citizens of St. Paul organized a petition to designate a national cemetery in their area. In 1937, Congress responded with legislation that authorized a portion of land at Fort Snelling Military Reservation for this purpose. Fort Snelling National Cemetery was established in 1939 with the first burial on July 5, of Capt. George H. Mallon, whose acts of heroism at Meuse-Argonne in France were recognized with the Congressional Medal of Honor. Following the dedication of the new cemetery, arrangements were made for the exhumation of the remains of those buried at the older post cemetery and the reinterment of the 680 soldiers who served from 1820-1939 buried in Fort Snelling National Cemetery. The 1930s were also a major boom era for national cemetery growth. Ft. Snelling is one of a dozen or so very large cemeteries conceived between World War I and World War II to serve large veteran populations in some cities. In May 1960, Fort Snelling Air Force Station transferred 146 acres of land to the national cemetery. One more land transfer of 177 acres followed in 1961, bringing the cemetery to its present size. Because of the frigid winters, about 1,000 graves are dug each fall to be used for winter interments. Records published here were acquired from the US Department of Veterans Affairs. They include dates of death up through March 28, 2016.